Battery storage manufacturer Varta is aiming to take advantage of the UK’s position as an early adopter in the technology, launching domestic sales alongside Waxman Energy this week. And the firm also says possible connections with smart appliances will also help drive interest in the technology. Varta said it was preparing to launch in the UK in September last year, however the company’s ‘Pulse’ system will be formally launched at an event at Waxman Energy’s Halifax HQ this week. Varta said it expects the UK to follow the successes witnessed in Italy and Australia, having identified the country as “the next growth market” for home energy storage. Among the drivers for this is the reduction of the small-scale renewables feed-in tariff. Since coming into place in February 2016, Varta said the reduced rates have placed more of a focus on maximising self-consumption rates from home solar installs, adding that growth over the forthcoming 12 months was expected to be particularly strong. However, the firm also pointed towards the Pulse’s open architecture which enables the units to communicate with domestic smart appliances and systems. Using a home energy management system, consumers can decide how each unit of stored power is used, borrowing from popular concepts in the Internet of Things space. Energy and the Internet of Things is a particular area of interest for utilities and domestic suppliers given its potential to increase their engagement with end users. Last month Lightsource BP announced its acquisition of Ubiworx, an IoT specialist it had worked with on the SunPlug solar-plus-storage system it developed alongside energy giant EDF. 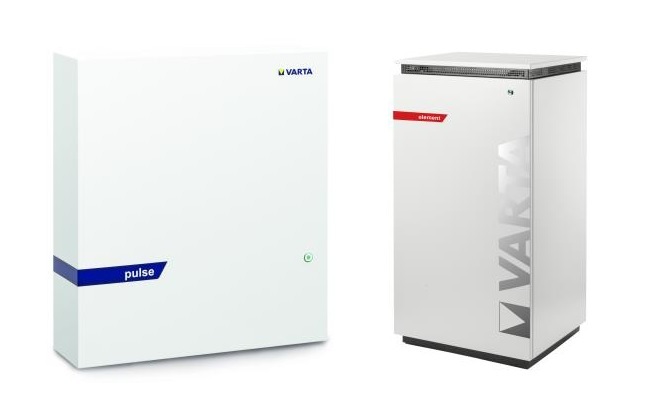 Varta’s Pulse units are available in two capacities, 3.3kWh and 6.5kWh, and are claimed to be capable of being installed within just 30 minutes.